Artist at work who can paint one painting a day. A rage to master as observed in some precocious young artists may help define extreme visual creativity in spotting artistic brilliance in children. Among all child prodigies there is one particular trait that children share: passion about their interest – whether it is in painting, sports, math, science or even dance. Despite his young age, Ram Skyler De Leon or “Sky” has already distinguished himself as a professional artist. Sky can make one oil painting a day, his stress buster after school. “I am passionate about art!” he enthuses. Shy is an artist who has an obsession to master his craft, devouring art books and religiously studying with local experts. Looking at kid’s compositions, it won’t take you much to conclude that he comprehends far beyond his age. His reflection about art, his brushstroke and mature demeanor across the canvas at such a tender age is certainly a gifted realist. His elements of composition, color, space and movement are handled with greater sensitivity to detail. The fifteen-year old boy’s paintings are no child’s play for this 2nd year high school honor student from La Salle Greenhills who started art as early as six years old. He first studied art basics with acclaimed “Fernando Sena” in 2010 and had several exhibits through him, in venues including Philippine Heart Center, Eastwood Cinema in Libis, and Walls and Art Gallery in Quezon Avenue while contemporary Filipino artist “Philip Badon” has also helped in shaping Sky’s art. His comprehensive art education and as well as his exposure to numerous art forms, styles and techniques, finds niche in realism and impressionism through L’arc En Ciel Gallery who is now Sky’s second home in art – a leading art gallery in the country under the tutelage of Elaine Herbosa curator of the L’Arc en Ciel in the South. 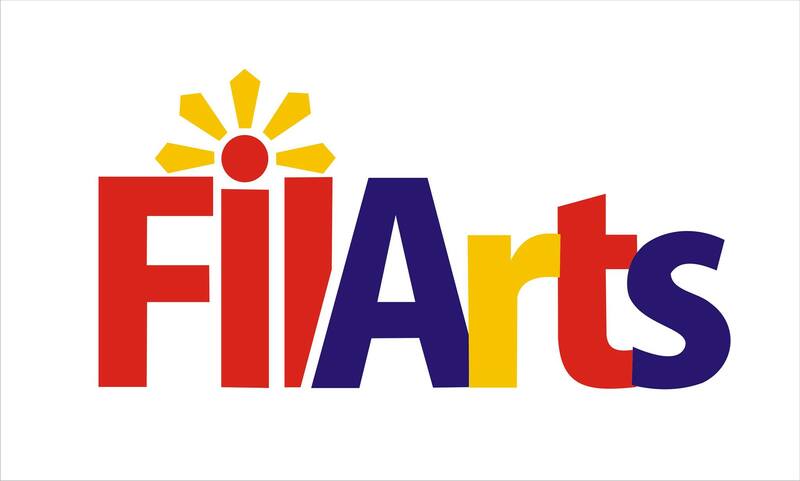 Sky has also been accepted to the Florence Academy of Art in Italy for next year’s workshop – first Filipino child to be accepted in this prestigious academy. Sky with Elaine Herbosa, President and Curator of L’Arc En Ciel Art Gallery. He wields a brush like an art master. His skill in the impressionist still life is a sight to behold – his copper vases, sunflowers and cherries on white silk organza pop to life with his sophisticated strokes. Sky’s oils in bold colors have unending appeal. Sky was not like most children as he found solace frolicking with vivid colors and various subjects in his paintings. Sky is an artist whose art are often self-directed, preferring art to other forms of entertainment. Sky believes that creating art in general is not an activity but a way of life for him. It teaches him discipline, courage to go beyond his limits, and to aim for perfection for whatever interest him. Sky has been publicly exhibiting his works since he was 11 years old, starting at the Bahay Tsinoy Museum in Intramuros. He had a solo auction exhibit for the 10th anniversary of The Palms Country Club in Alabang in 2013, where part of the proceeds went to a charitable institution. He has joined Art in the Park two years in a row, ManiaArt 2015, and exhibits in Bellevue Hotel, Tagaytay Highlands, ArtistSpace, Ayala Museum and at L’Arc en Ciel Atelier and Gallery in Ayala Alabang Village. His rare talent has been featured as Artist of the Week in Solar TV’s morning show, interviewed in other TV programs, and featured in newspapers and magazines. Sky is, after all, just a typical, well-rounded extraordinary talented kid with supportive non-artist parents. His oil paintings have evolved into a more mature depictions and advanced techniques. This sculpture by Ronald Castrillo was made in collaboration with Sky’s painting. The future generation of Masters… Keep it up. Thank you Jason. He definitely has a promising future. The future generation of Masters… Keep it up! He is extraordinary. Thank you!